Every domain investor holds domains that is considering to drop. There might be several reasons for that, but the main reasons are three. From my point of view. When all the three reasons are true for one domain name, this is most likely a drop. Sometimes this is very hard decision. It means 100% lost of your investments for this domain name. Is it possible to make profit from domains considered to drop? I will show you my way. How I am selling domains that I was going to drop. This it might not help you to sell on highest possible price, but most likely will help you to cut your losses for your investment. First thing that I do is to research the niche. You should do this before buying any domain name, but sometimes you get excited and not doing full research. This is the first lesson, do your homework before acquiring any domain name! Landing page that collect leads. … and so on. You get the point, something quick with less efforts. For me as a web developer such a website it will take me 1-2 days to build and run. I have the necessary skills and this is costing me zero dollars. But if you can’t build websites easily you can hire a freelancer, probably will cost you around $50 depending on your requirements. After you build your website, setup on your hosting and configure the domain name. Second step will be to go to Flippa.com and start an auction for a Starter Site, this will cost you $9. I usually set it with No Reserve with $1 starting price. This is attracting more bidders and the auction gets more exposure. Of course there is a risk, you can end up selling it for $5 or $10. It’s important to remember that you are not selling your domain name only, but your idea and your website. If you have cool idea and killer website, you can get top price. This way worked very well for me so far. I had 4 domains that I was going to drop. MelbourneRentalCars.com – purchased for $70 from NameJet, never received offers. Build a simple landing page to collect leads. Sold for $399 on Flippa. ArcherySets.com – purchased for $70 from NameJet. Build an e-commerce website selling amazon products. Sold for $120 on Flippa. 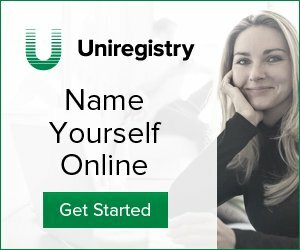 SearchMobileNumber.com – hand registered 3 years ago, less traffic and no offers. Build a simple website to show mobile number details. Sold for $399 on Flippa. XMRPool.com – purchased for $82.00 from NameJet. Build a Monero mining pool, it may sound hard, but is easy to do. Sold for $840 on Flippa. If I was dropped these domains my profit would be zero or even worst -$232. The lesson is that you can always make profit from your domains. You just need to never give up and always search for opportunities! That’s a great advice, Venelin. I’m looking for entry points into domaining and I too have a background in web dev, so this seems a very logical and good method. I’ll research it more. Thank you for sharing! I used to develop every good domain i got. However, my time is not unlimited, and outsourcing the site development doesn’t make much economical sense. So now i’m just flipping most of my domains. But in the long term – of course development is much more profitable.